The daily word prompt is “dormant”. When I think of “dormant”, my first thought is of “hibernate”. Every winter it crosses my mind, why can’t people hibernate? I’d be willing to go to bed and wake up with the first signs of Spring. Hibernating brings up an interesting question. 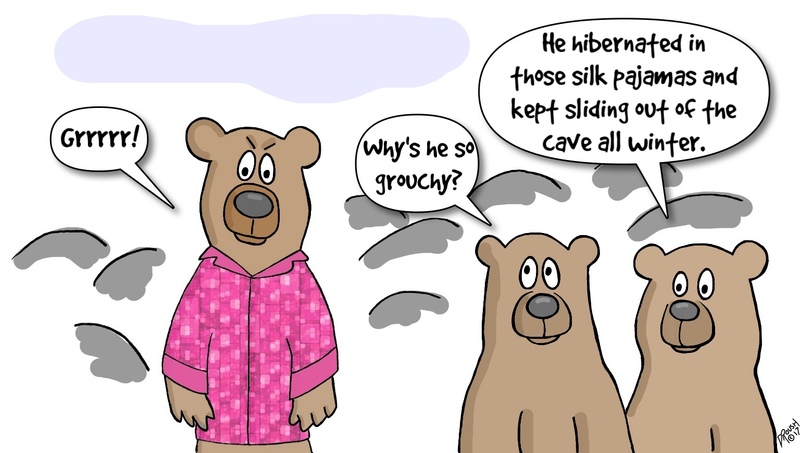 Do bears $#!+ when they hibernate? They do hibernate in the woods! The Pope is generally considered to be Catholic and when something becomes so obvious that it doesn’t require any further discussion that bear pooping expression is always called upon.